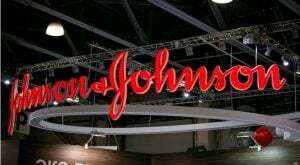 Johnson & Johnson (NYSE:JNJ) stock was down on Tuesday following the release of its earnings report for the first quarter of 2018. JNJ stock is down today despite the company’s strong earnings per share of $2.06 for the first quarter of the year. This is an increase over Johnson & Johnson’s earnings per share of $1.83 from the same period of the year prior. It also beats out Wall Street’s earnings per share estimate of $2.00 for the quarter. Net income reported by Johnson & Johnson for the first quarter of 2018 came in at $4.37 billion. This is down from the consumer goods company’s net income of $4.42 billion that was reported in the first quarter of 2017. Johnson & Johnson also reported revenue of $20.01 billion for the first quarter of the year. This is better than its revenue of $17.77 billion that was reported for the same time last year. It also came in above analysts’ revenue estimate of $19.40 billion for the period. Johnson & Johnson’s earnings report for the first quarter of 2018 also includes an update to its outlook for the year. It is now expecting revenue for the year to range from $81.00 to $81.80 billion. Wall Street is looking for revenue of $81.13 billion for the year. At the same time as it increased its revenue outlook for 2018, Johnson & Johnson reaffirmed its earnings per share expectations for the year. It is excepting earnings per share for 2018 to come in between $8.00 and $8.20. Analysts are estimating earnings per share of $8.10 for JNJ in 2018. JNJ stock was down 1% as of noon Tuesday. Article printed from InvestorPlace Media, https://investorplace.com/2018/04/johnson-johnson-stock-dips-despite-earnings-beat/.